The big purchases for nurseries are the easiest ones to make – the cot, the change table and so forth. But what to do for the finer decorating details and how do you pull the whole room together? The answer lies behind the door at Dulcie & Banana. 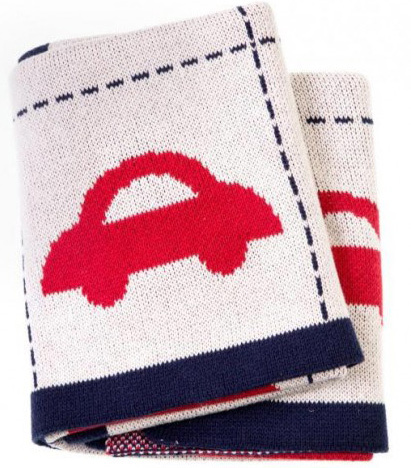 I instantly fell in love with the super cute trains pictured on the Dulcie & Banana Toot Toot Beep Beep blanket (priced $69.95). Measuring 100cm x 70cm, it’s perfectly sized for the cot, the pram or just for a little one to snuggle into for story time. 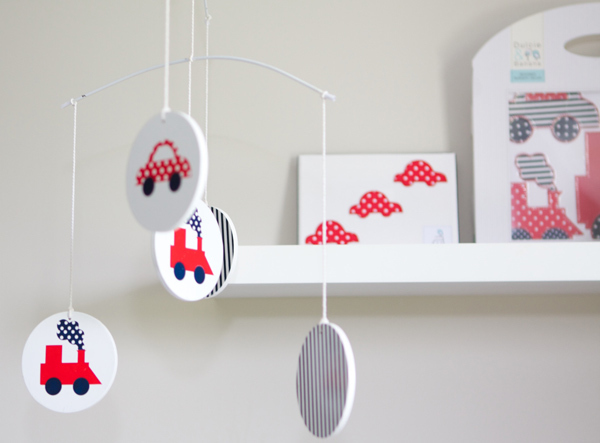 Dulcie & Banana make it so easy to extend the train theme throughout your decor with an awesome Toot Toot Beep Beep mobile ($27.95) and fabric shape Iron-Ons that are available singly or in packs of three, five or ten. Iron-Ons can be pressed onto most fabric surfaces including fabric change table covers, towels and cushions. 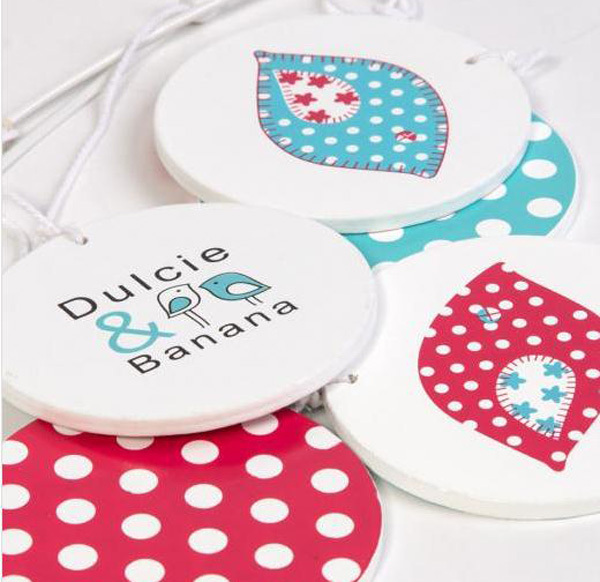 It’s not all trains and cars from Dulcie & Banana, they also have a pretty raspberry pink and blue bird (see below) theme named Sweety Tweety.